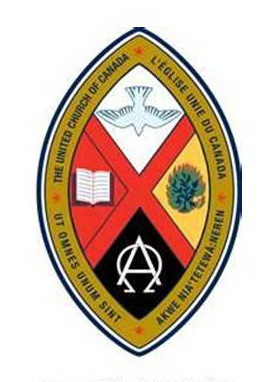 Healing Pathways is the healing ministry sanctioned by the United Church of Canada. Many congregations across Canada have these wonderful healing ministries. One must remember that the word 'healing' does not necessarily mean 'curing'. They are not synonymous. The laying on of hands is normal and natural and is a very ancient process. There are many Bible verses that describe this. We all know that if our body hurts, the first thing we do is put our hand on it. Have you ever bashed your shin on the end of the bed? The first thing you do is grab the area and rub it like crazy. Think about your own children. You may have rubbed their tummies when they were sick, rubbed their backs to help them fall sleep, cuddled and held them when they were sad or frightened. And HUGS .... who can ever get enough hugs? Hugs are so powerfully healing! We are not the ones doing the healing -- God is. We are just the vessel through which his love flows. Ego has no place in healing. Think of a pitcher under a tap. Turn on the tap and the pitcher starts filling up with water. When the pitcher is full, the water flows over the top and spreads out everywhere. Now, think of God as the tap, the water is his healing love and energy, we are the pitcher being filled with God's healing love and when full, the healing love and energy overflows and is spread to the receiver. 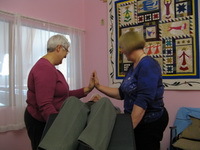 The 3rd Thursday afternoon of each month, Healing Touch is offered by the Healing Ministry in the quiet room. This Ministry is available to anyone in the congregation or the wider community who feels the need to receive. Please call Brenda for an appointment: 250-392-6428.